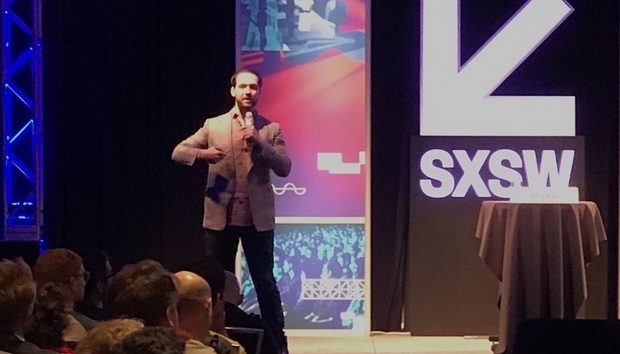 Ohanian gave an impassioned defense of Reddit and its potential during a solo talk on the opening day of South by Southwest’s interactive programming. As evidence of Reddit’s better nature, he pointed to stats like this one: With more than 280 million monthly active users submitting millions of posts, 99.98 percent of those conversations are never reported for content violations. The .02 percent of conversations that are reported are certainly egregious. Ohanian hinted at but didn’t actually address the company’s move last month to ban three so-called alt-right forums, which weren’t removed for hate speech, but for doxxing. He said he and cofounder Steve Huffman decided upon their return to the company in 2015 that Reddit needed teams dedicated to community, trust and safety, and “anti-evil.” Reddit has said it’s committed to allowing free speech and preventing harassment on its platform, which the company has discovered can be a difficult line to toe. Twitter is in the same boat. Ohanian pointed to a forum called /r/changemyview as another sign of Reddit’s potential. On that subreddit, posters share a belief they have and then ask other Redditors to change their minds. The most convincing responses, many with citations to back up their reasoning, are upvoted. In 30 percent of cases, the original poster says their view has been changed. Ohanian said he’d like to put /r/changemyview in front of more eyeballs. Reddit is looking at front-page relevance as a way to introduce new users to the site and expose existing users to undiscovered subreddits. It’s in the early stages of testing. A trendy social-networking feature that won’t be coming to Reddit anytime soon? “Live video is not anywhere near the top of the list,” Ohanian said, despite his admiration of streaming platforms like Twitch. At times, Ohanian seemed a little unrealistic about Reddit’s place in the world—or at least downplayed its negatives. But he sounded so hopeful.